From the first $300,000 burger in 2013, a lot has changed in cellular agriculture (‘cell ag’). Since that taste test of the first cultured meat burger, cell ag companies have gotten traction and have gone beyond their own taste tests . Memphis Meats became the first company to produce cultured poultry meat, such as chicken and duck. Finless Foods has plans to release a limited amount of its cultured fish meat by the end of 2019 . Beyond cultured meat, cellular agriculture has gained momentum elsewhere too. Modern Meadow has exhibited a proof-of-concept shirt designed with their cell ag bioleather at the Museum of Modern Art in New York City . 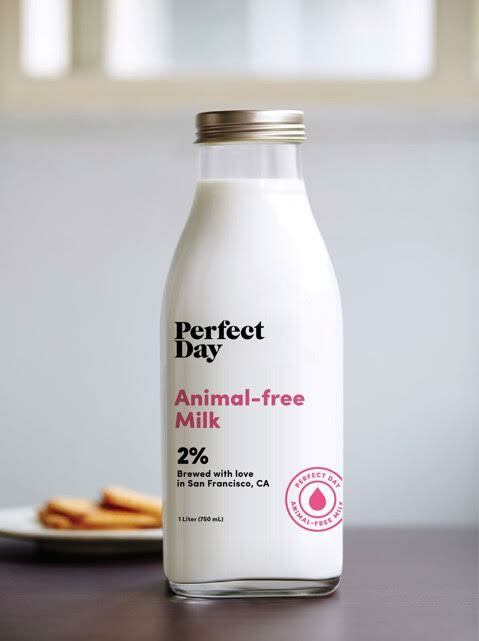 Perfect Day Foods and Clara Foods are fielding interest from other companies to use their animal-free dairy milk and egg white, respectively [4, 5]. Clearly, cell ag has made progress. One of the most recent players in cellular agriculture, Just (formerly Hampton Creek), plans to launch their first cultured meat product by the end of 2018 . 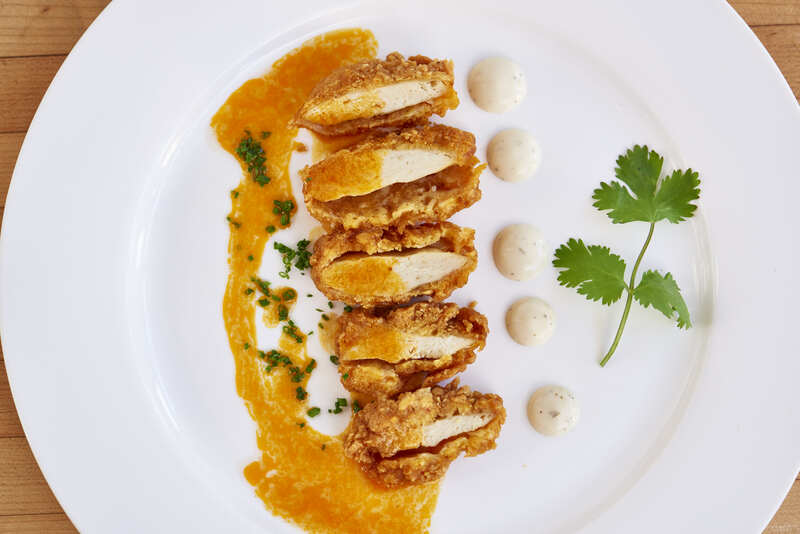 This is a lot sooner than other companies have planned (Memphis Meats and Mosa Meat both are aiming for a 2021 launch) . Besides the challenge of scaling production to get from lab to market, there are many obstacles ahead for cellular agriculture. This article will explore some of the hurdles ahead in cell ag as companies prepare to enter the market. Regulatory Aspects: Who’s in control? One of the first questions many people have about cellular agriculture is who is in charge of making sure it’s safe? In Europe, new regulation has put the European Commission in charge of approving and regulating novel foods, including cultured meat . In the United States, where most cell ag companies are based, the answer is still unclear. Traditionally, the US Department of Agriculture (USDA) regulates and oversees animal products like meat, milk, and eggs . But what if those animal products are coming from cell cultures, a field that the Food and Drug Agency (FDA) would have oversight over ? Since there is no precedent for cultured meat, it will likely have to go through FDA’s regulatory and safety screenings. Cell ag companies with acellular products via yeast, like Perfect Day’s cow-free dairy milk and Clara Food’s hen-free egg white, could skip FDA’s regulatory safety assessment altogether. This can be done by showing their products use procedures and ingredients that have already been generally recognized as safe (GRAS). Since egg white proteins and milk proteins like casein and whey are already deemed GRAS, these two companies may be able to skip FDA safety approval by using pre-approved GRAS yeast strains . Yet this begs the question: should these companies still voluntarily go through FDA’s safety regulation? More so, how could these companies address consumer safety concerns if they bypassed the FDA? Nearly all the cell ag startups pride themselves in being transparent with the public, so it would be surprising if they choose not to voluntarily show that their products are safe. A lot of actors in the field are trying to promote cellular agriculture by being as transparent as possible about the science, the manufacturing process, and the positive environmental implications [2, 9, 10]. Research has shown that when taught about the sustainability aspect of cell ag in comparison to conventional animal products, people view it more positively and are more interested in trying it . 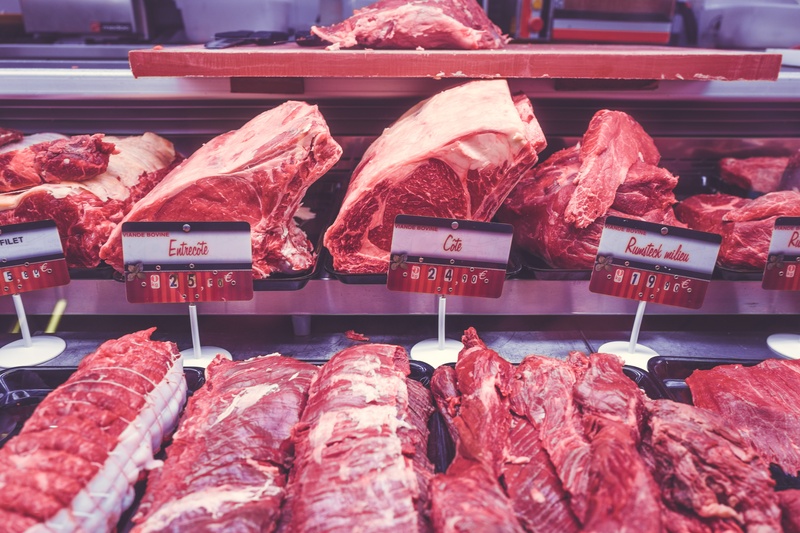 Using quantitative labels on animal products would also help show the large environmental impact of conventional animal products in comparison to cellular agriculture ones . This would be more effective than qualitative labels, which requires prior knowledge of those labels to understand them . Beyond public understanding of cellular agriculture’s sustainability, there are questions about cultural acceptance that still need to be addressed. For the world’s Jewish and Muslim populations, for example, it is yet to be determined whether cultured meat can be labelled as kosher or halal, respectively . It will be important for all actors in the field to fully address this and any other questions or concerns that emerge as cell ag products enter the market. A key challenge that cellular agriculture (and all innovative technologies) has to face is the socioeconomic impact of what their technology may cause. In the United States, over 1.6 million people are employed by the livestock industry, which makes up about 22% ($31.8 billion) of all income from agricultural exports . If cellular agriculture successfully enters the market and one day becomes large enough to disrupt the livestock industry, what would happen to all the people involved in the livestock industry? While this isn’t a question that cell ag companies would necessarily be asking, it is an important political question that may have severe implications. In order for cell ag to be successful and widespread, there will need to be political support — either in the form of positive policies or a lack of negative targeting policies. Will politicians and governments embrace the new technology, or will they feel threatened by it? It is important to balance the needs of one’s constituents and citizens with the needs for a sustainable food system that provides enough to feed the world by 2050, and only time will ultimately tell what happens . One group that may feel threatened by a rise in cellular agriculture would be the incumbent meat and dairy corporations. There have been investments by some large meat producers like Cargill and European poultry giant PHW that suggest some companies may be interested in supporting cultured meat technology [17, 18]. This doesn’t mean that the whole industry is ready to accept cellular agriculture as the future, particularly when it may threaten their market shares. Will these companies and corporations use their means and power to prevent a successful cell ag launch? Or will cellular agriculture likely be too small for many corporations to even be concerned about initially? It is not surprising that many actors in cellular agriculture are trying to be as transparent and open as possible about their technology and resulting food to gain public acceptance. Isha Datar, the Executive Director of New Harvest, the non-profit that funds primary research in cellular agriculture, was invited to a meeting hosted by the National Academics of Sciences at the request of government organizations like the USDA and FDA to help shape new regulation for biotechnology products . This is significant, because addressing any misconceptions now may prevent them from getting incorporated into regulatory policies that may impact the future of cellular agriculture . Overall, there are clearly many obstacles for cellular agriculture to overcome. It is important to note that not all of them have to be passed before cell ag hits the market. Some challenges are more long-term obstacles that cell ag will eventually have to face. Considering that Perfect Day Foods and Clara Foods will likely find it easier to enter the market, they may be among the first to enter and would set the precedent for how the market will respond to cell ag products. If Just is successful in launching at the end of 2018, they will also play a role in how the public views the field as more companies enter the market at a later date. Bercovici, J. Why This Cardiologist Is Betting That His Lab-Grown Meat Startup Can Solve the Global Food Crisis. Inc. (2017). https://www.inc.com/magazine/201711/jeff-bercovici/memphis-meats-lab-grown-meat-startup.html. Anzilotti, E. How Modern Meadow Is Fabricating The Animal-Free Leather Of The Future. (2017). https://www.fastcompany.com/40475098/how-modern-meadow-is-fabricating-the-animal-free-leather-of-the-future. Purdy, C. A tech startup is making convincing cow-free milk by genetically engineering yeast. (2017). https://qz.com/1161955/perfect-day-is-making-convincing-cow-free-milk-by-genetically-engineering-yeast/. Buhr, S. Clara Foods Cooks Up $1.7 Million In Funding To Make Egg Whites From Yeast Instead Of Chickens. (2015). https://techcrunch.com/2015/07/09/clara-foods-cooks-up-1-7-million-in-funding-to-make-egg-whites-from-yeast-instead-of-chickens/. Byrd, E. Clean Meats Path to Your Dinner Plate. (2016). http://www.gfi.org/clean-meats-path-to-commercialization. Pisanello, D. The New EU Regulation On Novel Foods, http://www.lexma.eu/en/2017/01/27/new-eu-framework-novel-foods/ (2017). Devitt, E. Artificial chicken grown from cells gets a taste test — but who will regulate it? (2017). http://www.sciencemag.org/news/2017/03/artificial-chicken-grown-cells-gets-taste-test-who-will-regulate-it. Bekker, G. A., Fischer, A. R. H., Tobi, H. & van Trijp, H. C. M. Explicit and implicit attitude toward an emerging food technology: The case of cultured meat. Appetite 108, 245–254, doi:10.1016/j.appet.2016.10.002 (2017). Grunert, K. G., Hieke, S. & Wills, J. Sustainability labels on food products: Consumer motivation, understanding and use. Food Policy 44, 177–189, doi:10.1016/j.foodpol.2013.12.001 (2014). Purdy, C. Silicon Valley wrestles with religion. 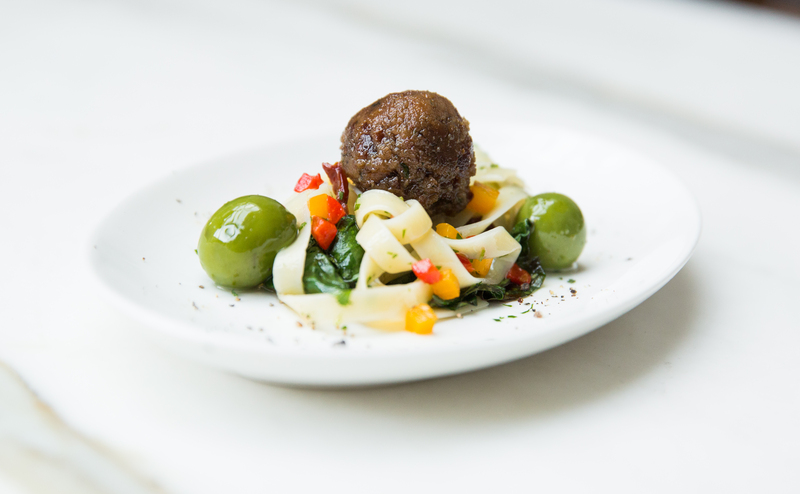 Is high-tech “clean meat” kosher and halal? (2018). https://qz.com/1184370/jews-and-muslims-are-considering-whether-high-tech-clean-meat-is-kosher-and-halal/. White, R. R. & Hall, M. B. Nutritional and greenhouse gas impacts of removing animals from US agriculture. Proceedings of the National Academy of Sciences of the United States of America 114, E10301-E10308, doi:10.1073/pnas.1707322114 (2017). Röös, E. et al. Greedy or needy? Land use and climate impacts of food in 2050 under different livestock futures. Global Environ. Change 47, 1–12, doi:https://doi.org/10.1016/j.gloenvcha.2017.09.001 (2017). Memphis Meats. in Leading Clean Meat Company Announces Backing from Top Venture Investors, Meat Industry Leader and Mission-Driven Groups (Memphis Meats, 2017). New Harvest. New Harvest invited by the USDA to help change federal policy on biotech, http://www.new-harvest.org/newharvestinvitedbytheusdatohelpchangefederalpolicyonbiotech (2016). Sewalt, V. How Will We Regulate Cellular Agriculture?, https://medium.com/new-harvest/how-will-we-regulate-cellular-agriculture-80a6e83998db (2017).